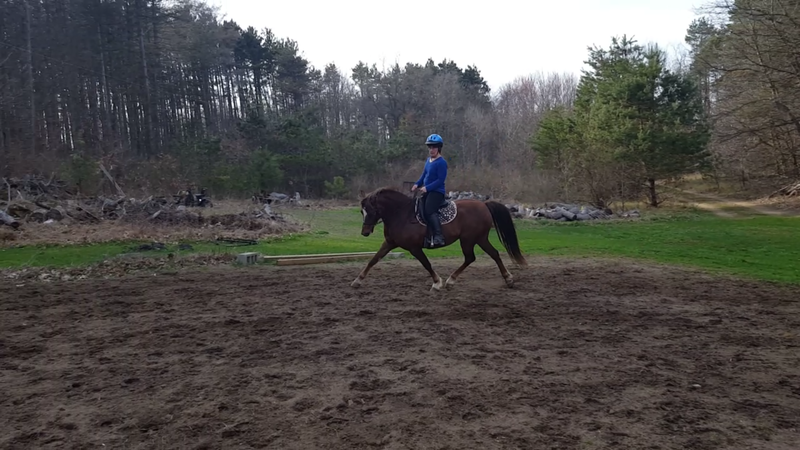 Yesterday, I was leading Ava, and the footing was uneven so my whole upper body went rigid in an attempt to stabilize myself. The second my upper body went stiff, Ava reared, wide eyed, throwing her head around. I had to consciously relax my body and pretend I was a wet noodle before she would quietly walk next to me again. I’m a bit embarrassed to admit this, but I have finally started riding again after nearly 4 months off. 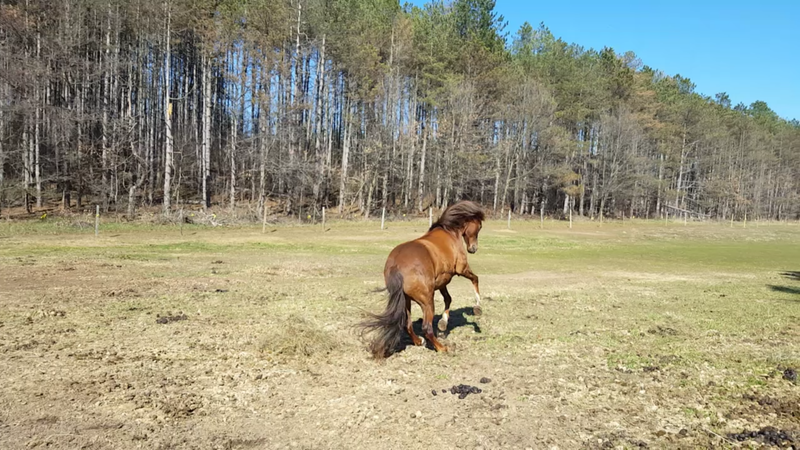 I’m amazed at how much Joy has retained training wise. It’s all still there. She’s still a bit out of shape, but the buttons are there. Last Sunday was the first time I’ve been on Joy’s back since Dec 26th. 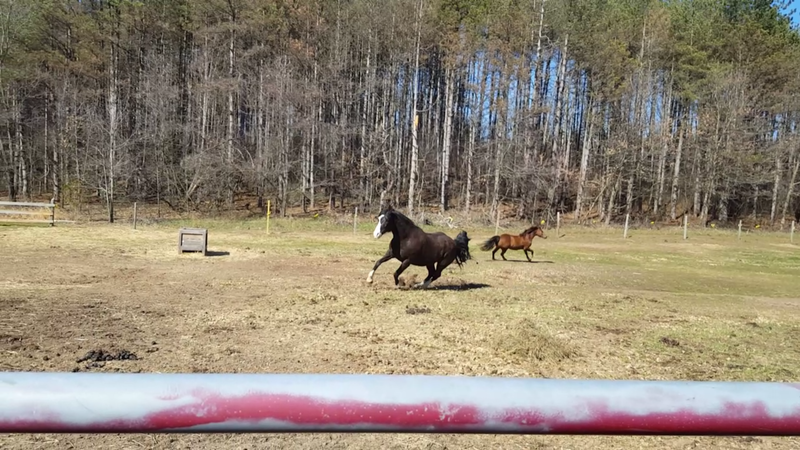 That Sunday I lunged her first. I hopped on expecting the worst! The only time Joy bounced around a little was when the cats decided to jump on top of the metal pile and make it crash and clang next to us. Joy gave a short hop, but that was it. 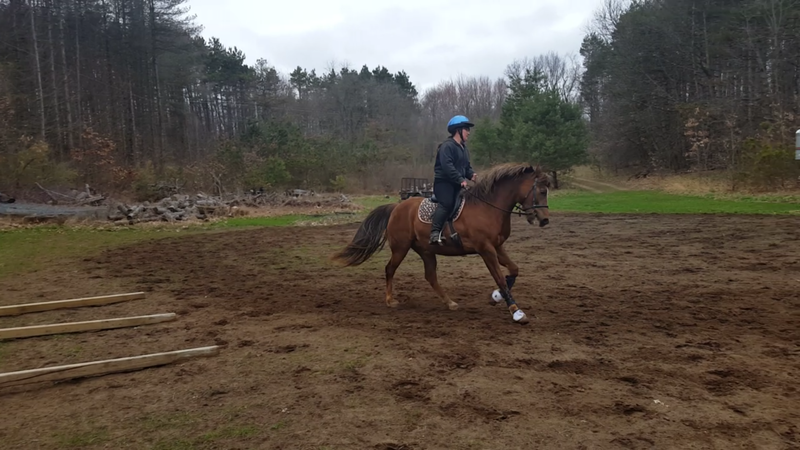 Next day, I hopped on Joy without lunging first. She was a doll. We w/t/c around. Even got the correct lead both ways. 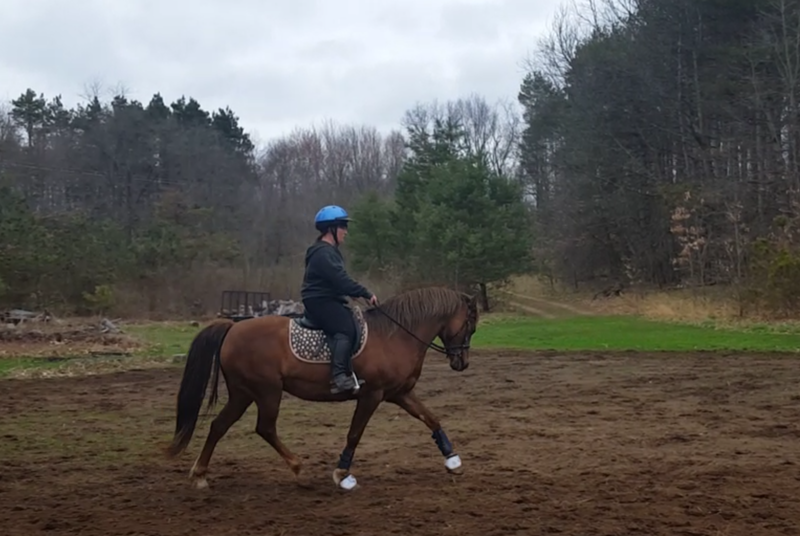 Yesterday, we did a bit of short trot/canter work. Got both leads again. Would’ve gotten the right one with bend on strike off, but I messed it up… I was impressed she offered it. That lead is always going to be tough for her. Funny thing yesterday, after we got done with the arena work, we went for a short trail ride (by ourselves). Joy hasn’t been out since maybe early Nov. It’s been a long while. We get 10 feet from the barn and there’s a dark patch of dirt we have to walk over. Joy gets one foot on it, brakes hard, and starts back-peddling manically. I could not convince her to walk over it, so I finally hopped off and had to show her it was just dirt. She very cautiously followed me over it. Rest of the trail ride went smoothly. We didn’t go far, she was hyped, but sane. Coming back, we have to cross the black dirt again… Joy takes a sniff, and walks over it like it’s nothing. Yay! vet diagnosed her as IR (insulin resistant). I forgot how much fun Ava is to ride. Joy feels like a race car, Ava is a muscle car. I started riding Ava in the pasture since the previous time I rode her she tried to toss me off. We walk/trotted a couple of small laps around the pasture, then headed outside for a short walk loop around the back field. 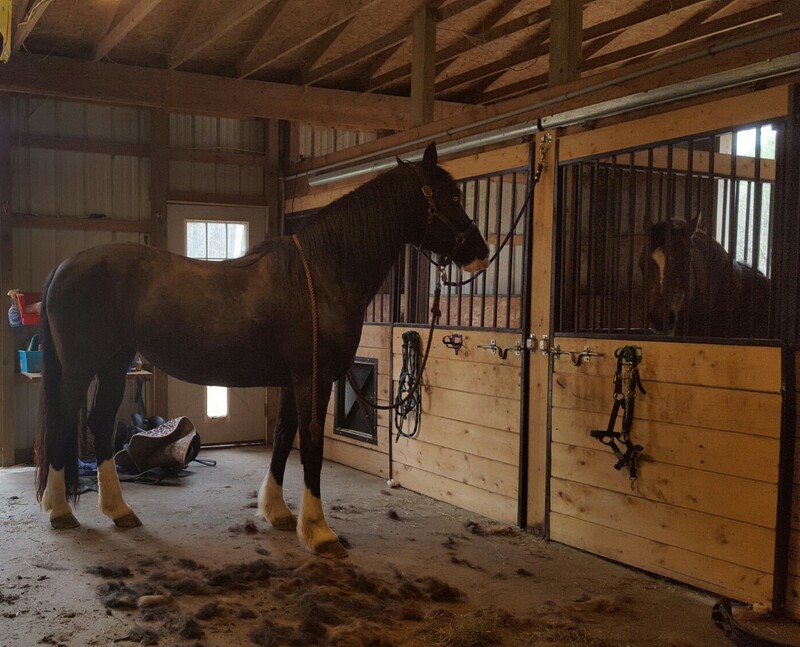 I haven’t seen any detrimental effects from riding Ava. Hoping it stays that way. Good to hear things are looking up! 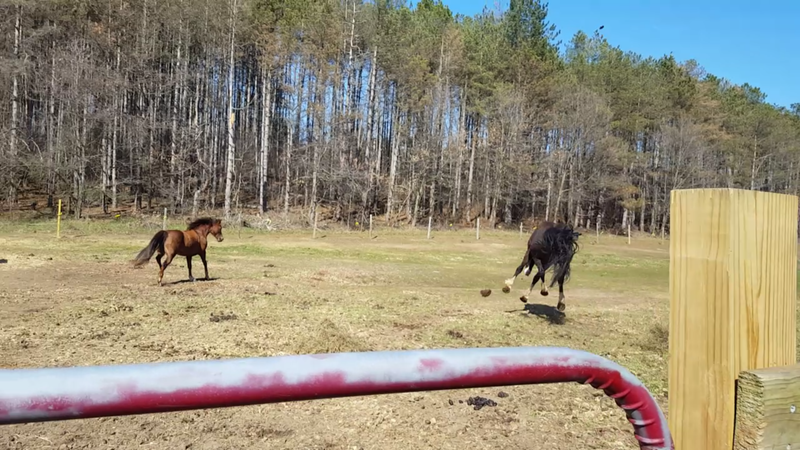 They look ridiculously happy playing together in the pasture. They did seem to enjoy themselves an awful lot! . 🙂 It was fun watching them. Yey! You’re riding again! 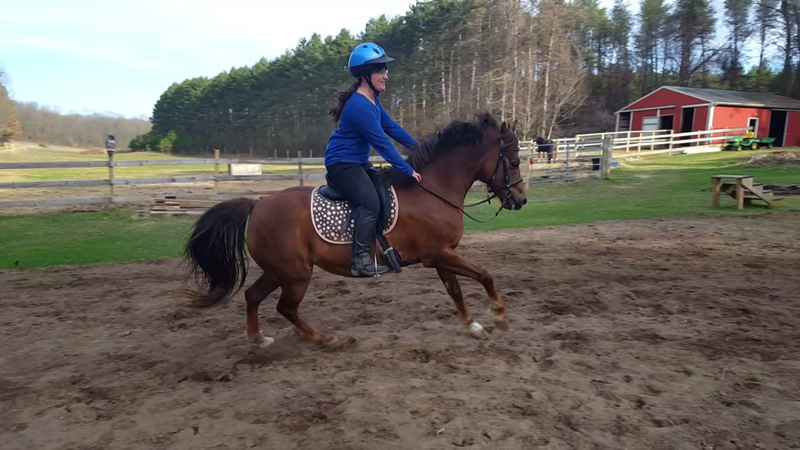 🙂 Nice trot picture from the last ridden shots – you guys will do great! I’m so happy to finally be able to ride again!